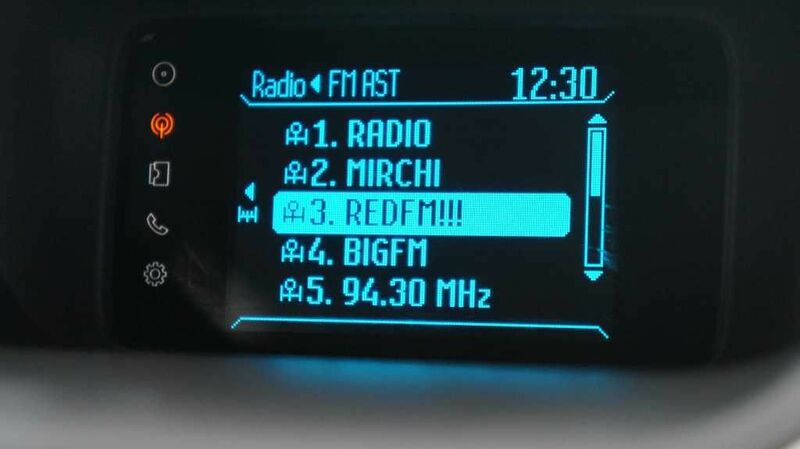 It is undoubtedly the geekiest car in India. And that is enough to appeal to us. We got the chance to spend a few days with the Ford EcoSport, and we tell you what it feels as a car. And yes, the Ford Sync feature! If you have been checking out this website regularly, you would surely have seen the feature story on affordable cars that are loaded with technology that you can buy in India, today. (If not, go read it pronto! ). The Ford EcoSport is one of them, and quite rightly, placed at the very top of the tree, simply because it is loaded with just so much technology on-board. The main feature in the car that caught our attention is the Ford Sync package, which in its entirety, is a first in the sub-Rs 10 lakhs price bracket. Before we get into the details about the Sync feature and the car, let us take a look at some interesting numbers. The journey till now, both for the car and the parent company, has been nothing short of mind-boggling. Let us look at some numbers here - in July, Ford reported a 14% jump in sales, largely riding on the EcoSport. The company also reported that the EcoSport clocked 30,000 bookings in just 17 days since launch. And at the turn of this month, Ford India recorded its highest ever monthly sales, up 48% year on year. Ford seems to have made the "Crossover" category fashionable with the EcoSport. We had the chance to drive the EcoSport around for a weekend, specifically the Diesel version. This gave us a pretty good idea of how well (or not!) Ford Sync works as a feature that you will want to use on a daily basis. There it is - a geek's delight! Microsoft, with Ford's 'skin', seems to have a rather neat package. Ford Sync, within itself, encompasses a lot of things! The primary one being the hands-free experience that Microsoft and Ford attempt to create, within the car, allowing for the driver to focus on the road. The starting point for this feature is Bluetooth, and once your phone is hooked up, you can make or receive calls via voice commands. Also, with compatible phones, the Ford Sync feature lets you hear new text messages by reading them out loud. The driver (or any occupant for that matter), can control the media playback via voice commands. Additionally, Ford also offers the Emergency Assistance feature. This kicks in, in case of an accident - basically when the airbags are activated and the fuel pump is shut off. A call is made to the helpline number, via the paired phone, and the GPS coordinates are sent as well, in case the passenger(s) are not in a condition to speak. 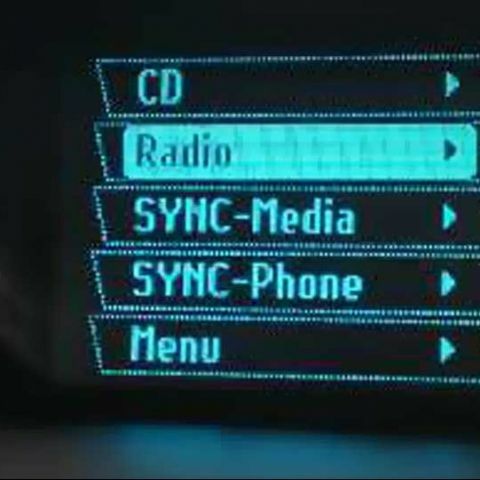 Sync holds within it all the possible options that you may find in the entertainment console inside the car. The Sync feature is powered by an Intel Atom processor, and runs on the Windows Embedded Automotive Platform 7. All in all, there is that little computer in there, not very different from the one that you may be visualizing. And like most Android smartphones, Ford has put the proverbial “skin” over the basic operating system, bringing in its own layer of capabilities and tasks. Since Sync holds in so many features, we will take these one by one, and give you a better idea of how well they work, or they don’t work. For the phone related features, we used an iPhone 5 and the HTC One, to get a better idea of the compatibility and the ease of use. First is the setup procedure. Pairing the phone via Bluetooth is a fairly simple procedure, and it works well across devices. No issues there, but there is a slight issue with how far deep within the menu you need to dig to get to the Sync Phone and Bluetooth options. But once you get through that, the setup is a breeze from there on- as simple as pairing just any other Bluetooth device to your phone. We first paired the iPhone with Sync, and once the setup was complete, we got a bit of a shock. The music sitting on the phone started playing back automatically! I really couldn’t find any settings that controlled this behavior. To be doubly sure, we hooked up an HTC One in pretty much the same way, and this time around, there was no such shock! Upon setup completion, Sync asks whether you would like to transfer your contacts to the system’s on-board memory. While this is optional, you need this is you want to use voice dialing or use the on-board dialer to make a call. Multiple phones, and multiple phonebooks are handled easily. Once all this is done, you are well and truly ready to use the phone via Ford Sync. To make a call, you have three options - use voice dialing, select a contact from the phonebook now set up on Sync or even use the number pad that pops up. We tried all three methods, and all have their pros and cons. For voice calling, you have to press the voice command key once and say “Call *name*”. Short names with simple pronunciations are easily understood. I happen to have one contact saved as VM, and as you can see in the video, it dials that number straightaway. However, it had some problem understanding a lot of other names, like most voice assistants do. However this is a niggle, something you may get more control over by getting used to the kind of accent the system needs, over a period of time. The second is dialing from the phonebook. Again, scroll up and down the list and tap on the contact you wish to call. The third is the method where you punch in the number manually. This method, good to have as an option, will only really be useful if you remember the numbers by heart. If you still wish to dial the number directly from your phone, you can then transfer it to “Sync”, an option that will show up on the phone post syncing. For example, it shows up as one of the five options on the iPhone’s home screen once a call is in progress. Receiving a call is a rather simple exercise. The screen shows the name and/or the number of the person who is calling. You can either select “answer” or “disconnect” via the direction keys and press enter, or simply use the corresponding buttons on the steering wheel. Call clarity on both ends is pristine. We hear the audio through the four speakers and two tweeters in the car, which are a part of the audio setup. The other party, in most cases said the clarity was fine. So much so that the volume the other party receiving is louder than usual, and it isn’t the best scenario to have the wife think you are shouting at her! In a couple of cases, the other party on the call complained of voice breaks, but that can be attributed to mobile network conditions in that area as well. This is a feature that may be slightly complicated at first. Quite a few people actually assumed that when a new SMS comes in, Sync automatically reads it out. That is actually not the case. 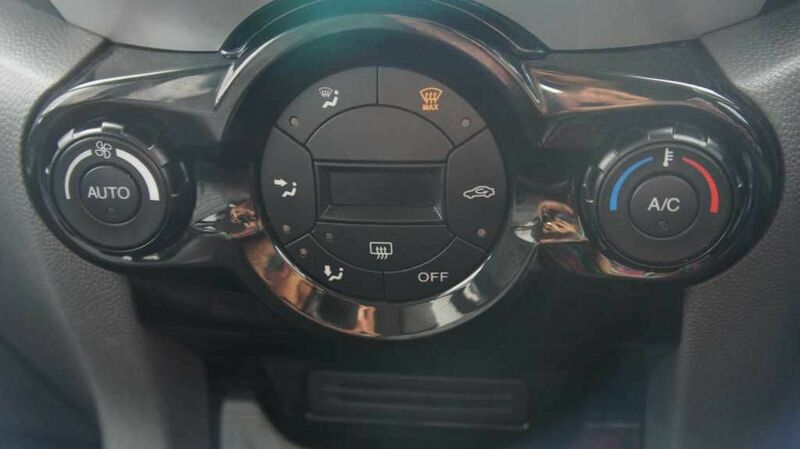 While there is no separate setup for this, you need to press the voice command button in the cluster on the steering wheel and say “Read SMS”. The readouts are very good for proper words, but for shortened words and bad spellings, Sync obviously doesn’t appreciate that. Incidentally, the SMS readout feature isn’t compatible with the iPhone, but worked perfectly with the the HTC One. All in all, we really like this feature because it is a huge respite from the distractions that SMSes can be while driving. Hopefully, the same would be extended to some popular IM clients soon. The ability to select a playback source (CD, USB, phone) by calling out to the entertainment console is something that would excite a lot of potential buyers. Over and above that is the ability to select a particular track or artist by simply calling out the relevant name correctly. We were able to ask it to change the playback source, and get a positive response. However, Sync did get confused when we asked it to play “Intense”, a track by Armin Van Buuren, and the system just decided to freeze. Switching off and switching on didn’t help, and we actually had to turn off the car and restart for Sync to work again. For most artist or track names, we got a negative response, but changing the music playback source is a breeze just by saying “Play USB” or “Play Radio”. It happened only once, but worth pointing out - the Sync system crashed while we were giving it voice commands to play a particular track. 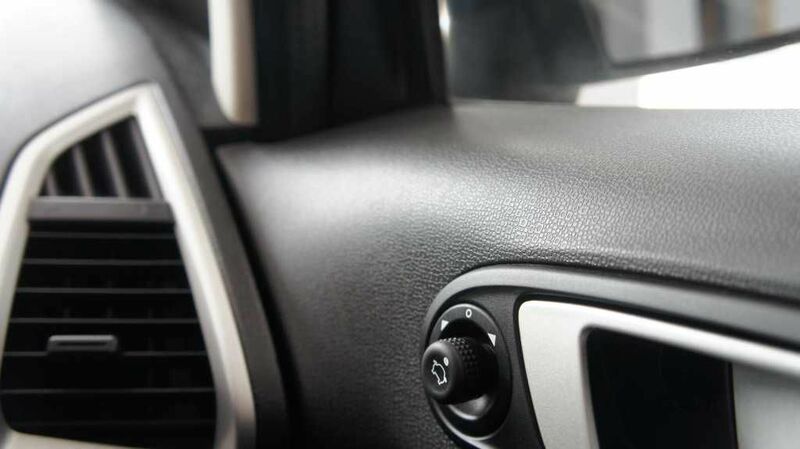 The Ford Sync system has the additional feature of Emergency Assist. In case of an accident where airbags are deployed or worse still, the fuel pump is shut off, the Assist feature uses the paired phone to call the emergency helpline number. In addition to that, the GPS coordinates are also sent out, in case the occupants of the car are unable to speak and ask for help. Thankfully, we did not really get to test this feature out! You have the option of turning off Emergency Assist as well, but the system will remind you about the status every time you start the car. 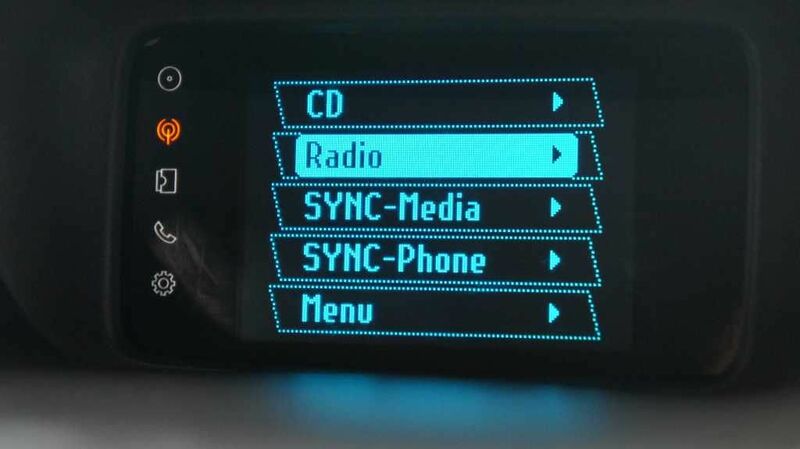 While we had seen something similar in the Fiat Punto and the Fiat Linea sometime back, called Blue & Me, Ford’s Sync has taken the entire offering to the next level. The proper display has made the setup and use very easy. 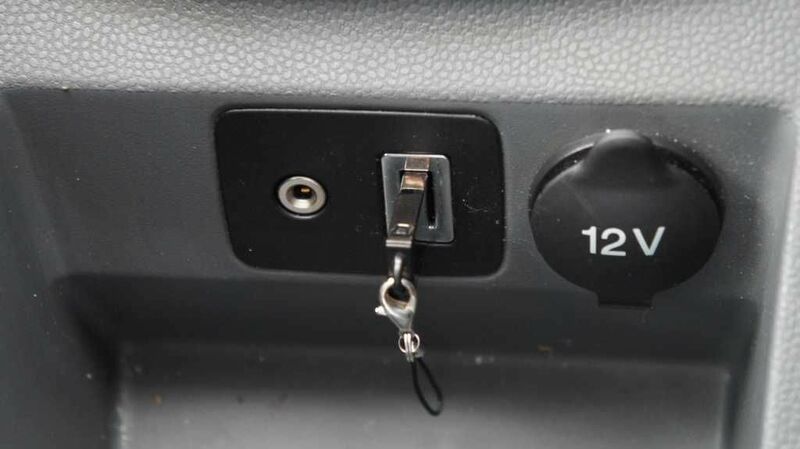 Instead of being spread at two places on the steering wheel, all the critical keys are placed in one cluster. This is one design element that we really like. The steering controls work very well for phone and music control, and stay out of the way when not needed. The Sync also has an excellent display. No, it isn’t a touchscreen and there are a lot of buttons, but they are well marked, and the critical ones like audio sources are big and easy to see in a second. The steering controls are placed in a way that they are instantly available without really looking away from the road, but don’t get in the way. Text on the screen is always visible, irrespective of the lighting conditions. The fact that it sits with a slight shade above it means there literally aren’t any reflections off the screen that could bother you. Irrespective of the ambient lighting, the non-reflective nature of the screen is something we really appreciate. Once you get to terms with the hardware key layout, using the direction keys etc., is a breeze. 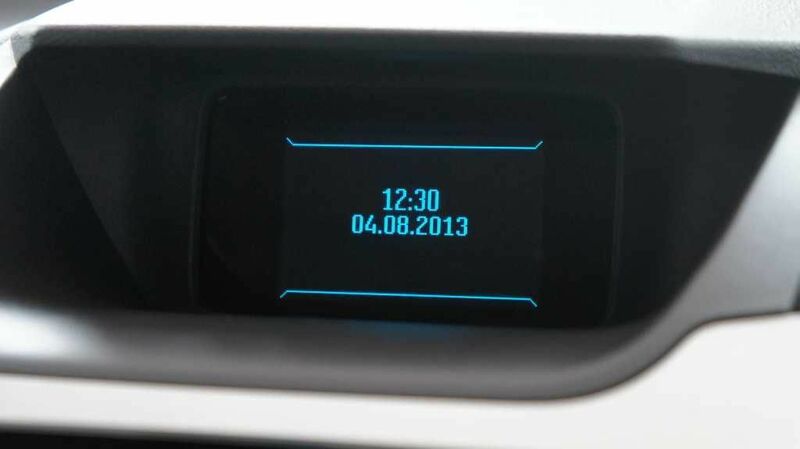 The interface is rather simple yet very intuitive, even though at first it looks dated. Nicely laid out set of buttons. But, wouldn't it be awesome if all this was part of a nice touchscreen UI? However, a couple of things need to be ironed out. First, the selection keys are below all the source options and the number pad, and tends to lose out on the link with the options on the screen. These could possibly be shifted a little higher to allow users to get a better link between these and the on-screen options like OK, back, Cancel etc. Second, while the interface is simple and easy to navigate, there are just too many layers of options. While you may get used to this over a period of time, this renders it almost unusable while on the move, unless you are stationary at a traffic signal where the countdown meter still reads 30 seconds until the light turns green. What Ford Sync now needs is a proper touchscreen implementation. That will make it the complete package, which will be a lot easier to use and will negate the need for the hardware keys. 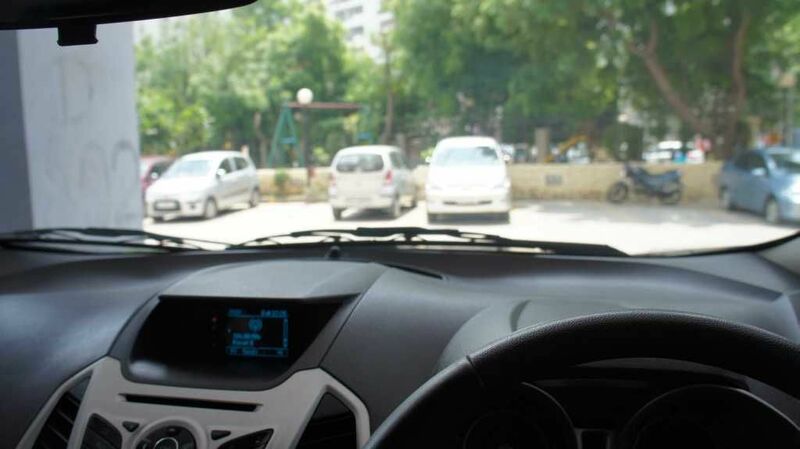 The Ford EcoSport cabin walks a very neat balance between being attractive, yet remaining simple and usable. Get into the cockpit, and you immediately notice how high up you sit. Get used to this, and driving any other sedan or hatchback will feel a tad weird for a while. The angular layout of a majority of the dashboard is very attractive, but most importantly, the critical keys are big and placed well. The materials used are very high quality, and even on extremely bad roads, there is absolutely no rattling. All doors are thick and heavy, and are the best indicators of the solidity Ford have packed into this car. The central console has multiple cup holders, and the doors in the front have those as well. However, the area around the gear needs better design, because the space isn’t well utilized for either keeping your stuff or to keep a can / glass which the driver can use to sip from while driving. But, the neatest thing is the little slide out box under the front passenger seat, that can hold some stuff safely. The amount of space inside the cabin is impressive, both in the front and for the passengers on the rear seat. Even with the driver’s seat pushed all the way back, someone as tall as me didn’t end up with knees touching the seat in the front. Three adults sit comfortably, and that is indeed a huge bonus. Good viewing experience inside out, and that lends the car an even bigger feel. All in all, the Ecosport impresses in most aspects, from the perspective of the driver as well as all passengers. For a car as big and heavy as this, there is always the apprehension regarding the ride quality and responsiveness during pickup. The car that we drove is the Titanium version with the 1.5-litre diesel motor packing in 91PS and 204nm torque. A very responsive engine - comfortable for city driving and for when the roads open up. 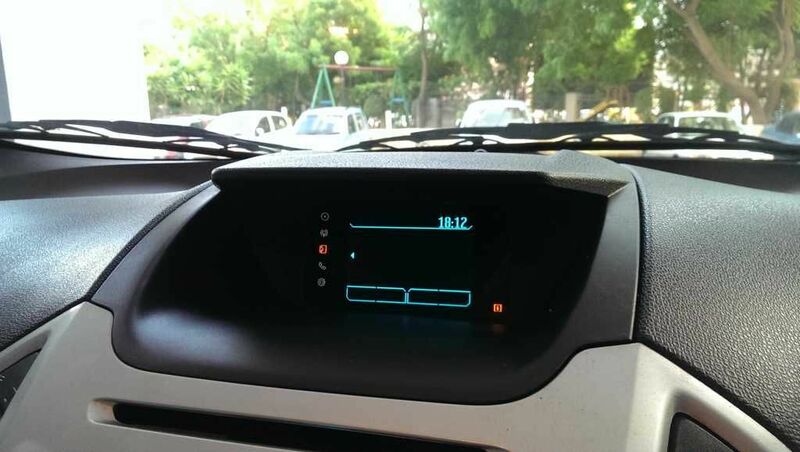 Inside the city, in heavy traffic, the EcoSport feels at home. The pickup from stationary, in first gear, is smooth and responsive, even with a fairly light foot on the throttle. Cruising is comfortable and smooth. 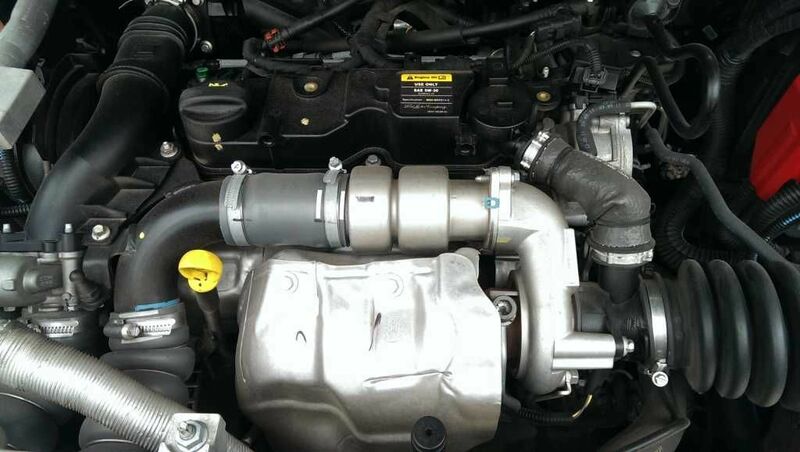 In terms of acceleration, you need to get used to how the engine responds. 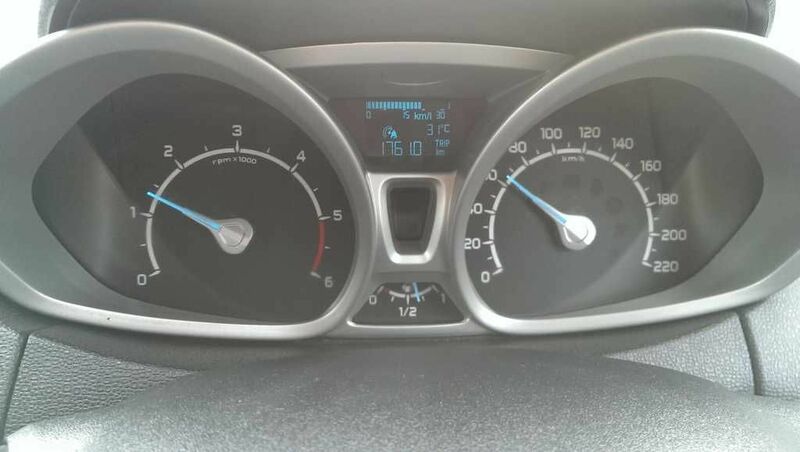 If you happen to be cruising along at 30km/h in third gear, and need to make a quick overtake or accelerate quickly, you will need to downshift into second to get the initial surge before going back into third and beyond. Revs at around 1400rpm, at a speed of just over 60km/h in 5th gear. In terms of acceleration, the motor is fairly responsive, even with the AC on and four adults in the car. Even when cruising at 50km/h, stomp on the throttle, and the forward surge is fairly evident. This isn’t something most cars this size and this heavy can claim to do. The grip is excellent, from the 205/60 R16 Goodyear tires. Take a corner enthusiastically, and the grip along with the excellent suspension setup make that an exercise done more out of expectation and excitement, than just hope. Speaking of which, this rubber is extremely silent, and no road noise filters through into the cabin. Roll down the windows while driving along at whatever speed, and the silence from the road is more than evident. A lot of companies have been compromising on rubber by going for less expensive harder compounds, but Ford hasn’t done that. 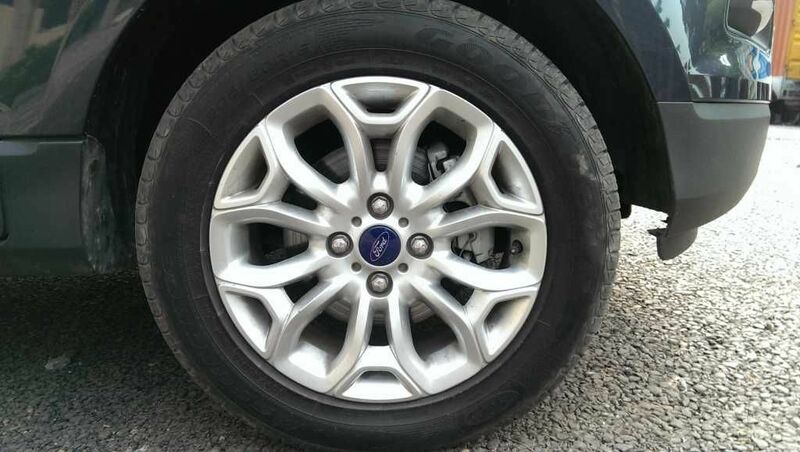 Ford hasn't cut any costs on the rubber, and the Goodyear tires offer excellent ride quality and don't believe in bothering the occupants with road noise. The cabin is literally like a fortress, where most of the outside noise doesn’t filter in. The excellent suspension means you are basically gliding over even the worst roads and bumps. The Sync feature, partnership between Ford and Microsoft, is a rather neat offering that could ultimately be showing us the way to the future. In terms of deployment, we quite like the way the overall package works - the setup looks a tad complicated but happens smoothly if you follow the process properly. There are a tad too many buttons on the console to overwhelm you, but again, it is all about getting the hang of the key placement. Voice assistant has trouble understanding what we are saying at times, but the precision is much closer to understanding the Indian accents than what we have seen on most such offerings till now. What this setup now needs is a cleaner look with a proper touchscreen implementation to make usability more comfortable. only experienced can express it!!!!!!!!!!!! !